RHA has announced a partnership with the Glasgow Warriors Rugby Club to span the remainder on the 2017/2018 season. As an Official Partner of Glasgow Warriors, the award-winning manufacturer will support the team and provide audio solutions for players and staff. The announcement was made today at the Glasgow Warriors stadium in Scotstoun, Glasgow. RHA's head of product design, Kyle Hutchison, met with players Callum Gibbins, Adam Ashe and D'Arcy Rae before their training session to present them with the company's new MA Wireless Bluetooth® headphones.The acclaimed MA Wireless series boasts RHA's signature sound with the added freedom of Bluetooth® connectivity. Both Glasgow-based partners have already been in talks to identify projects where the partnership can benefit the club, with RHA using their expertise in providing true-to-life audio to help the Glasgow Warriors on and off the field of play. 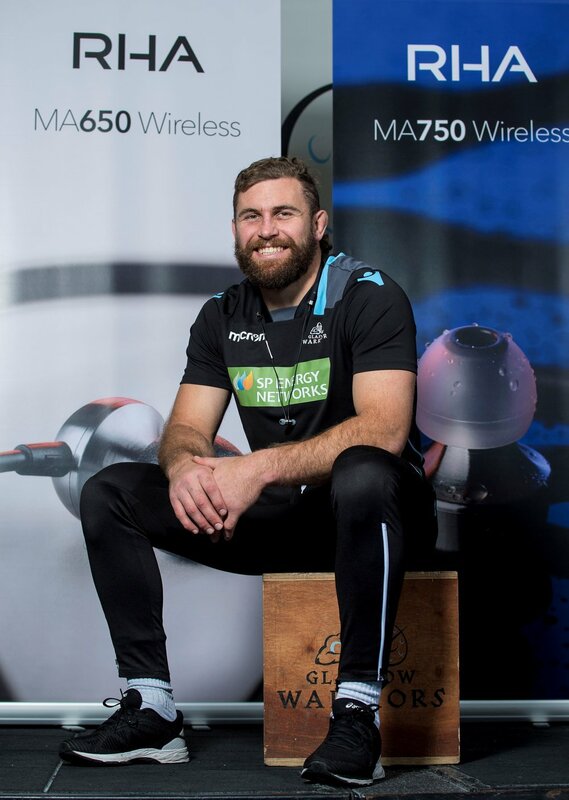 Lyndsey James-Williams, Head of Marketing and Business Development for RHA, said: "We are extremely proud to be partnering with Glasgow Warriors Rugby Team. Our global headquarters is less than three miles from the stadium and it's a pleasure to be part of their official support network. The team shares many of RHA's core values, including a focus on performance and providing an engaging experience for our customers and fans." Glasgow Warriors Managing Director, Nathan Bombrys, said: "I'm delighted that RHA has chosen to partner with us. As an award-winning audio business, their expertise and technology will be hugely beneficial to the entire organisation." He added: "They're a real Glasgow success story and we look forward to growing together for the remainder of the season."